Russian network reports Pompeo told Iraqi PM the US will not intervene if Israel attacks Iranian targets in the country. The United States has told Iraq that it will not intervene if Israel attacks Iranian targets in the country, Russia Today’s Arabic-language news service reported on Thursday. 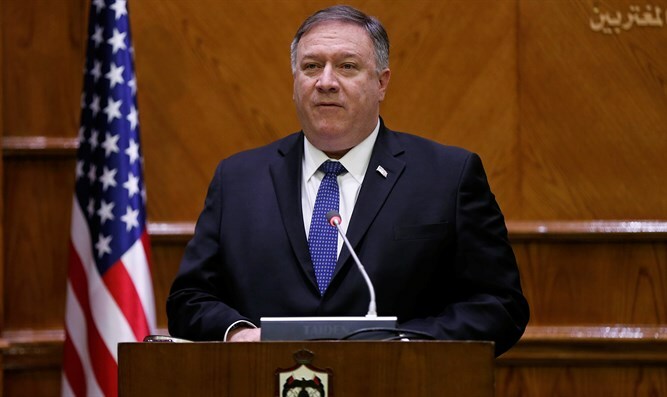 The network, which cited an unnamed Iraqi government official, said US Secretary of State Mike Pompeo conveyed the message during his meeting with Iraqi Prime Minister Adil Abdul-Mahdi in Baghdad last week. Russia Today also reported that al-Mahdi expressed concern about such a move and warned of its grave consequences. In September, the Reuters news agency reported that Iran had moved missiles to Iraq. The report quoted three Iranian officials, two Iraqi intelligence sources, and two Western intelligence sources, all of whom confirmed the transfer of short-range missiles to Iraq over the course of several months. Some of the officials added that Iran is helping its allies produce their own missiles as well. Iran rejected the Reuters report, claiming it aimed to harm Iran’s ties with its neighbors. Iraq’s Foreign Ministry said it was “astonished” over the Reuters report, saying it was “without evidence” while stopping short of denying its contents. Iran has come under fire for its test-firing ballistic missiles in recent years. The United States has several times imposed sanctions on Iran over the tests, saying its missile tests violate UN resolutions.